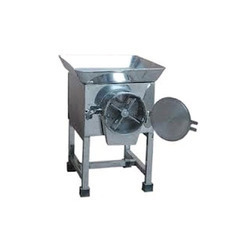 Leading Manufacturer of food pulverizer machine from Coimbatore. In order to cater diverse requirements of the clients, we offer functionally advanced array of Pulverizer Machine. Our entire product line is compact in designs and is durable in nature. Pulverizer Machine is sturdy in construction and is rugged in designs. Pulverizer Machine is performance oriented and offered with customized solutions.